It is a Cassowary, feathers, evil temper and all. In total this took about an hour in three sessions to do, and so now I am bored with it. Time to draw something else. 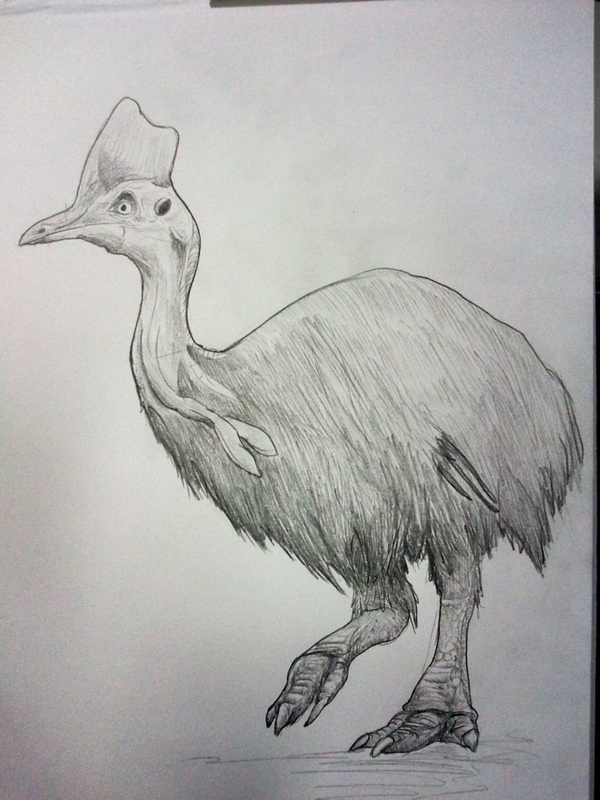 This entry was posted in Quick Desksketch and tagged bird, Dinosaur by Anthony. Bookmark the permalink.